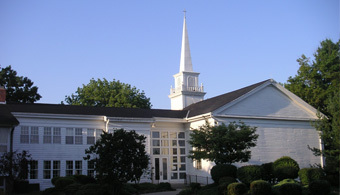 It is the purpose of the Northfield Presbyterian Church Day Care Center to provide growth experiences in a supportive Christian environment that will encourage the sound development of the whole child as a unique individual. Continued interaction between the center and the family in a mutually supportive way provides an atmosphere of understanding and openness. Take an online tour of our facilities. See who keeps the day care running. Please call 1-800-474-4777 or go online to Giant Eagle "Apples for Students" to register NPCDC as your school of choice. Our ID number 3129. If you registered in the past you will need to re-register for this year. Stop by the office to pick up information on how you can save money on your tuition! Field Trips/Special Events - Thank you for your support of our Fall Fundraiser! We sold over 350 products which gave us a 40% profit! Please call to check availablity for all our daycare classes. Contact Us. Nursery School Registration is ongoing. Openings remain available in the 3's class. Registration for the 2019-2020 school year will begin in February 2020. Do you have a child who won't quite be ready for Kindergarten in the Fall? We are currently registering for the class that will begin in the fall. Details.